This book of a hundred pages is entitled “Marrow”, but it could have been called “Songs of the Balou Mountains” in a literal translation. This mountain range in Henan is indeed the area where Yan Lianke spent his childhood and part of his teenage years. This poor and mountainous area is found in many of his novels and is as important to him as Gaomi in Shandong Province for Mo Yan. Balou Mountains is a sufficient information to which the author gives little additional indication of the period during which the story takes place with the You family. The book also has no ambition of political or sociological analysis; only some indications show us that the family is poorly treated in the allocation of land or in its relations with its neighbors but these are not in any way denunciations as in other novels by Yan Lianke. The heroine, the mother, Fourth Wife You, has three girls, idiot and epileptic; the son, the last one who seems normal, will become stupid because of a hereditary disease transmitted by his father You Stone. Father will commit suicide but his ghost will be close to his wife to help her find husbands for two of his daughters, but one of the husbands is disabled and the other blind. The third girl wants also a husband but he must be part of the “wholers”, the complete people. The mother, after many failures, meets a widower Wu Shu who will accept the girl only if she comes with a good dowry … With the help of the girl, Wu Shu will empty the family house! An in-law guarantees that the children can be cured with soup made with the bones of a dead man, a very close person. The grave of the father is opened. The soup has positive effects but there are not enough bones. It is the mother who, with her body, provides the solution but at her funeral at the end of this fable, she warns: “this illness is hereditary. Do you all know how to treat your own children”. Disability and hereditary diseases are the heart of many of his novels, be it “The passage of time” (2) where the villagers’ life span do not exceed forty years. The disabled and “wholers” are the heroes of “Lenin’s Kisses” (3), but in the village, the You family is the only one with problems while in the village of Benaise all are disabled. Complete people, “wholers” are very devious characters in both novels but “Lenin’s kisses” is a novel, with fantasy and humor, much more elaborate and with an objective of social criticism. The body can feed or save as in a beautiful short novel “The days, the months, the years” (4) where the hero sprinkles corncobs with his blood and where his body, after his death, will serve for them as fertilizer. To save the children, are soup bones and cannibalism the only solution? We refer of course to Lu Xun who has already addressed this issue. In “Marrow,” the father, the father’s ghost is an important person. This is possibly linked to the fact that the author feels guilty for not having done enough for his family. One refers to the collection of short stories “Thinking of my father” (5) or the novel (not translated) “The generation of my father” which was in China a great success. Filial piety is essential but the children in “Marrow” show very little vis-à-vis their mother. Yan Lianke emphasizes that “everything is tragic,” but his book does not try to have the reader feel pity; the author stays aside and is not willing to create emotion. As Mo Yan he always tries something new; the style, the structure is as important as the content. “Marrow” is at the beginning of his works but with qualities that deserve to be discovered and foretells future novels. In May 2016, it was reported that “The Four Books” (6), which was a finalist of the International Man Booker Prize, would not win the prize; a sad ending because it is, in my opinion, the most beautiful book by Yan Lianke. 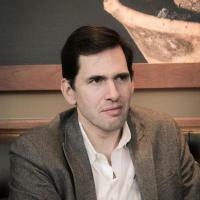 “Zhalié Chronicles” published in France (7), have been translated by Carlos Rojas and will be available next October (“The Explosion Chronicles”). This is a great book, a chronicle of a village that becomes a megalopolis. 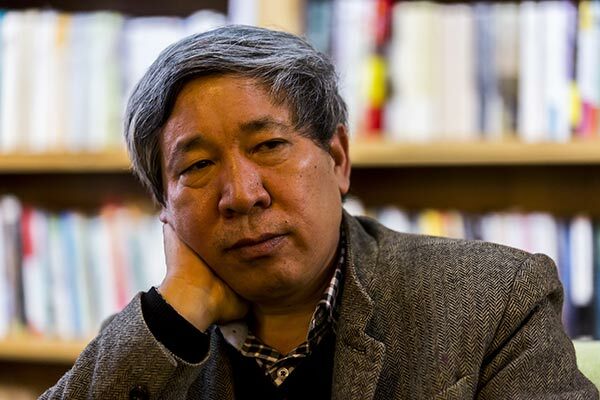 Good news, a few days ago, Yan Lianke won with his latest book, “Death of the Sun”, the sixth prize “Dream of Red Mansions”, awarded every two years by the Baptist University of Hong Kong to reward a novel written in Chinese. 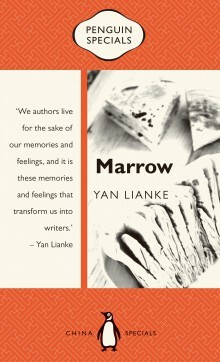 (1) Yan Lianke, “Marrow”, translated by Carlos Rojas. Penguin Specials, published by Penguin Group (Australia) in association with Penguin Beijing; 2015, 103 pages. (2) Yan Lianke, “The passage of time”, translated into French by Brigitte Guilbaud; Philippe Picquier Publishing, January 2014, 608 pages. (3) Yan Lianke, “Lenin’s Kisses”, translated into French by Sylvie Gentil; Philippe Picquier, 2009, 560 pages. (4) Yan Lianke, “The days, the months, the years”, translated into French by Brigitte Guilbaud. Philippe Picquier, February 2009, 125 pages. (5) Yan Lianke, “Thinking of my father”, translated into French by Brigitte Guilbaud. Philippe Picquier, 2010, 120 pages. 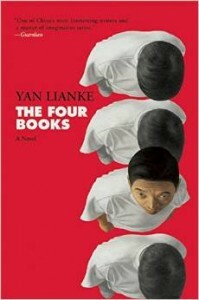 (6) Yan Lianke, “The Four Books”, translated by Carlos Rojas. Grove Press, March 2015, 400 pages. (7) Yan Lianke, “Lenin’s Kisses”, translated by Carlos Rojas. Vintage, October 2013, 512 pages.